Dr. Lance Nelson, Chair of the Department of Theology and Religious Studies at University of San Diego, says on Inside Higher Ed, "A classroom is for human interaction; if one wants an on-line education, why not do it completely on-line?" (actually, he said, "why not do it completely on-line>" - but I will assume that's a missed key and an unused spellchecker and not a "greater than" sign). An anonymous "gianstefano," responding to same story of the University of Chicago Law School shutting off internet access in their classrooms, says, "I feel compelled to ask the following question: what is wrong with having to listen to a boring professor or a boring lecture? Plenty of us had to do that when we were students. A lecture may not have provided us with instant gratification, but we were taught to respect the professor no matter how boring his/her lectures were. 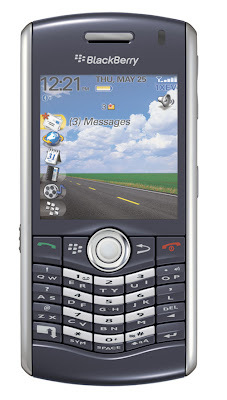 To my way of thinking, you turn off your cell phone when you go into class, and you should turn off your computer as well. This is a lesson in civility, for starters." So, I've tried to deal with computers and disability in the classroom, and the notion of what Universal Design for Learning means, the changing nature of cognition in this century, and the potential use of mobile phones in the classroom, even why we bother to continue to pay teachers, but now I really need to talk about equity in education - and whether educators want to restrict access to education to the elite, or whether they are interested in expanding the idea. Let me begin with my phone, which measures 10.7 cm (4.2 inches) long by 4.8 cm (1.9 inches) wide by 1.25 cm (0.5 inch) deep, and weighs 96 grams (3.4 ounces) [conversions thanks to Google search]. It cost me something less than $150 (US). Thus, it is substantially less expensive than a laptop computer loaded with (even student-priced) Microsoft Office software. It is substantially smaller and lighter than a laptop as well. And, with this single device I no longer need (a) a phone, (b) a camera, (c) a calculator, (d) a GPS system, or (e) an alarm clock. But with this tool, and my internet connection, I can take notes in Google Docs (or build spreadsheets). I can look up things I need to know. I can even avail myself of the one spellcheck system which really supports dyslexics, English-language-learners, or anyone with significant spelling difficulties (ghotit.com). I can scan printed text in, and have it converted to text. I can listen to podcasts. I have access to a few million on-line books, and perhaps a billion on-line journal articles. I need not buy extra methods of storing data since I can back everything up to my Gmail account - and thus need not waste time or money acquiring either paper notebooks or flash drives - or searching for, or remembering to bring, or carrying - those items. I can also convert speech to text and text to speech. In the words of Alan November, this phone is one magnificent "learning container." And it is my container. A container which supports my learning strengths and difficulties. A container that I can afford which serves me well. Should I get to use it in my education? Dean Saul Levmore of the University of Chicago Law School says no. He wants me to do things his way (though he may balk at buying me alternative devices). Apparently Dr. Nelson and Dr. Bernstein of Kingsborough Community College say no as well. Many, many faculty members at all levels of education join them. Just as an undergraduate prof of mine prohibited baseball caps in class. A number of us wore the caps to keep the classroom's flickering fluorescent lights out of our eyes, but this prof saw them first, as some kind of affront to dignity and polite society, and second, as "a way to cheat." "You will put your quiz answers on the brim of the hat," he told us. None of us had thought of that, but I suppose we could have done it, though I was left trying to figure out what kind of vision one might need to read notes stored that way. I probably can not change their minds. As I have said here before, education is pretty much run by those who have succeeded in education the "traditional" way. They have neither the requisite empathy for real change which extends opportunity, nor the motivation. But perhaps I can work on those outside the system now, and perhaps I can make the voices of those demanding change a bit louder so that eventually they will be loud enough to truly be heard. This matters because it is not simply a question of disability (see post below), or economic equity re: disability (the wealthier your family is the more likely you are to receive effective accommodations in K-12 American education, on US college admissions tests, and in college itself), or simply economic or social equity (rich white kids come with all sorts of built-in supports beginning with parents who read to them and ending with working far fewer hours while in higher education, thus needing to multitask less). This matters because allowing true media and tool choice in education is the first essential step toward bringing those traditionally left out of educational opportunity in. Students who learn to use the learning containers, the learning tools, the learning supports which are both reasonably available to them and which work best for them have a much better chance to break through all those other barriers - disability, difference, poverty, quality of primary and secondary education, level of parental education - and have a shot at succeeding. Let me go back to Alan November, here discussing his own child: "[I]t is safe to say that Dan is not totally engaged at school. He is not self-directed or globally connected. For instance, he isn't allowed to download any of the amazing academic podcasts available to help him learn, from "Grammar Girl" to "Berkeley Physics." He is not connected via Skype to students in England when he is studying the American Revolution, for example,which might create an authentic debate that could be turned into a podcast for the world to hear." "He cannot post the official notes that day so those who subscribe to his teacher's math blog via an RSS feed can read what's going on in his class. His assignments do not automatically turn into communities of discussion where students help each other at any time of the day. His school has successfully blocked the cool containers Dan uses at home from "contaminating" any rigorous academic content. It is an irony that in too many schools, educators label these effective learning tools as hindrances to teaching." Now, the learning styles that Mr. November are describing are not necessarily for everyone, but denying students access to these tools is not just wrong educationally, it is discriminatory and elitist and ensures that education is nothing but a means of social reproduction. Those that have will continue to have. Those that don't, well, they'll be left behind. After all, our society requires school for almost every path to even limited success. Just try and take the bar exam or the med boards or become a teacher without having attended a school. The old arguments about faculty being "king in their classroom," or, "if you don't like it, don't come to school," betray a willingness to keep educational success to the few, so that competition for the best jobs is as limited as possible. This doesn't mean that I advocate abandoning all rules and all forms of respect - instead it means that I believe that educational structures must change to adapt to new realities - realities of population change, of differing expectations, of differing modes of cognition - or education, which has traditionally not quite worked for three-quarters of the population as it is - will be even less effective. Rod Bell, Adjunct Professor at College of DuPage, says on the Inside Higher Ed debate that IT (or ICT) is "disruptive," and he means this not necessarily in a bad way. 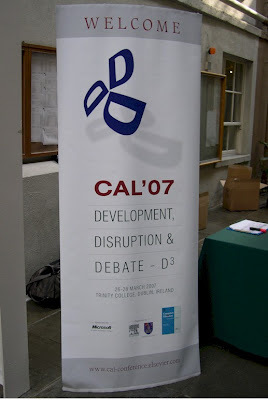 Last year's CAL Conference (Computer Assisted Learning) in Dublin was entitled, "Development, Disruption, and Debate" for important reasons. Dr. Bell says, "[T]he question is not whether information technologies (IT) disrupt the lecture model—of course they do, especially if IT is a means of further extending education to the population. The question is whether professors and educational institutions can exploit IT to the general benefit of society." I often think the question comes down to whether you think there is potential value in the disruption, or whether you think that the current systems - or the systems of the 1950s - work - or worked - so well that nothing need be changed. In my anecdotal experience the answer to that often (though hardly necessarily) comes from whether those old systems have made you a winner or a loser. Most of the educational systems I have experienced have tried very hard to make me a loser. Where I have succeeded best are the places where the traditions were most disrupted. Neil Postman designed schools, colleges without grades, and universities willing to embrace alternatives to even the most required courses. Thus, I vote for finding out what disruption can do for us - for all of us. Afternote - I'll present the alternate attitude, from one of my favorite professors, who just blogged on this question: "On a more personal note, I have loved that my students bring laptops to my classes. This despite the knowing that they are playing Scraboulous and/or checking email some of the time. But I can’t really complain about this since I doodled (and otherwise goofed-off) during class hours through my extended stint as a student (from middle school, that is about as far back as I can remember, to grad school). In fact I have gotten in trouble about my doodling even after becoming a professor. "What I have found though is that having students with their laptops with wireless internet access, enriches my classes in ways I could not have imagined. More often than not, I find students conducting Google searches, tracking down articles, nailing down obscure facts, in ways that directly connect to what is being discussed in class. My students often share what they have found with me and the other class-participants. "I see no reason to be threatened by this, in fact I believe that this enhances student engagement with the ideas, and that is always a good thing. "The fact of the matter is that students can goof off even when there is no technology (as I did and continue to do so at meetings) when the topics being discussed appear irrelevant and/or boring. This just raises the bar for us as instructors, pushing us to try harder to make our classes interesting, challenging and engaging." Your blog is the most consistently well-written, thought-provoking and truth-laden blog that I subscribe to. Your posts challenge all in public and higher education and, when thoughtfully considered and analyzed, that will benefit ALL learners. I can not thank you enough for what you are writing about and how you upset the status quo. Your blog is a treasure that must be mined by all who say that care about maximizing student achievement for all students. 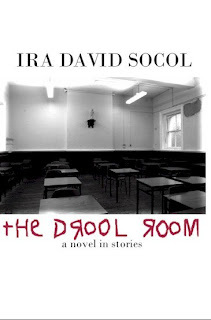 Hi Ira - In my usual bumblebee way I've just linked this at Easily Distracted, where a conversation is developing about banning laptops in the classroom spurred by Margaret Soltan's rant on the subject. Tim's post is good and the responses are mostly supportive, but the dimension of learning diversity had not yet been addressed. Just fyi and of course your direct commentary would no doubt we welcome and illuminating. Cheers!